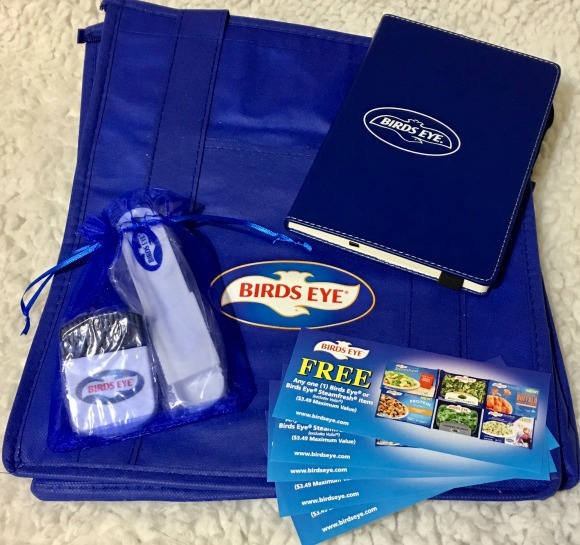 Stacy Tilton Reviews: Birds Eye to the rescue! Birds Eye to the rescue! I have to say between Thanksgiving and New Years was somewhat of a blur to me. Usually I'm on top of my game and ready to take on anything thrown at me. But this time I felt like I never could get ahead, or even caught up to be honest. And for someone like me that's a pretty big deal because usually I'm the one that has it all together and planned out. Thankfully though I had received an awesome holiday package from Birds Eye that just happened to be a saving grace at least a few times. How you might ask would what you see in the photo above be that big of a deal? Well let me tell you. When it arrived I immediately opened up the journal book and started working on a "to do" list. Yes I already had notebooks at home and could have already easily done it, but something hit me when I opened my package that it was time to stop, sit down, and make a plan. No more running around trying to remember everything I needed to do. And I have to say it did help quite a bit. Next I took all of my coupons to the store and picked up a variety of Birds Eye products to store in my freezer. They were also a lifesaver when I had one of those "oh no" moments of remembering I hadn't stopped to eat lunch and there wasn't anything quick in the fridge to heat up. I grabbed a bag of Birds Eye Steamfresh veggies and pasta from my freezer stash and popped it in the microwave. In a matter of minutes I had something to eat, and it was good for me too! I like to keep their single veggies in the freezer too for those times when fresh vegetables are out of season, or need one I don't have on hand. Gotta love those Birds Eye frozen veggies, they are a lifesaver! Need some mealtime inspiration? Then head on over to the recipe section of the Birds Eye website. They have a ton of great recipes to choose from for every meal of the day. You can also take those frozen vegetable & pasta packages and make emergency meals out of them by adding rotisserie chicken.